My iPhone Screen Won't Turn! Here's Why & The Fix. You are at:Home»iPhone»Display»My iPhone Screen Won’t Turn! Here’s Why & The Fix. Your iPhone screen is not turning and you’re not sure why. You’re holding your iPhone sideways, but the screen just won’t rotate! 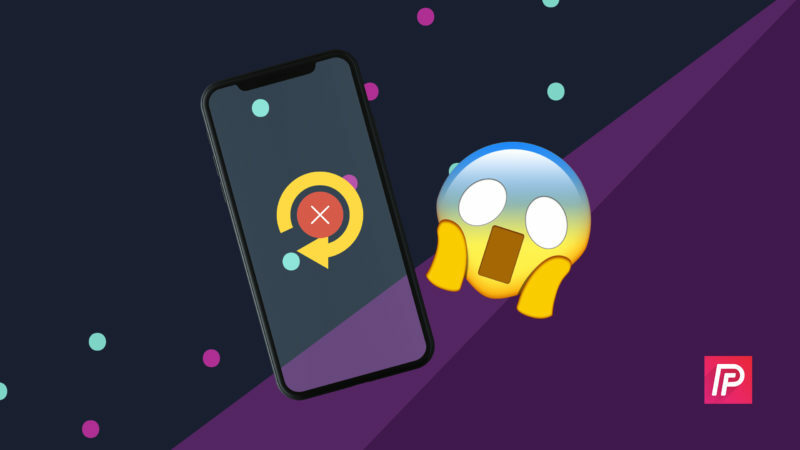 In this article, I’ll explain why your iPhone screen won’t turn and show you how to quickly fix the problem. Why Won’t My iPhone Screen Turn? Your iPhone screen won’t turn because Portrait Orientation Lock is turned on. Portrait Orientation Lock keeps your iPhone display in the upright position, even if you’re holding your iPhone sideways. How Do I Turn Off Portrait Orientation Lock? 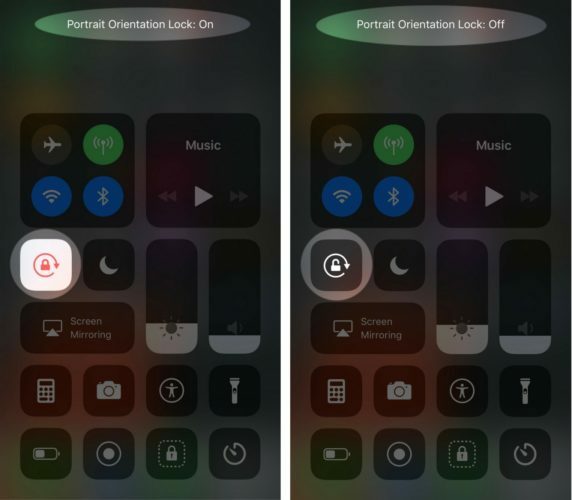 To turn off Portrait Orientation Lock, open up Control Center. On the iPhone 8 and earlier models, swipe up from below the bottom of the screen to open Control Center. On the iPhone X, open Control Center by swiping down from the upper right-hand corner of the screen. Once Control Center is open, look for the Portrait Orientation Lock button — it looks like a lock inside of a circular arrow. You’ll know Portrait Orientation Lock is on when the lock and arrow are orange inside of a white button. To turn it off, simply tap on the button in Control Center. You’ll Portrait Orientation Lock is off when the lock and arrow are white inside of a dark gray button. What’s The Difference Between Portrait Mode And Landscape Mode? A picture is worth a thousand words, so rather than trying to explain the different between Portrait and Landscape Mode, I’d rather show you! The screenshots above are what your iPhone’s display looks like while it’s oriented in Portrait Mode. Below is what your iPhone looks like while oriented in Landscape Mode. My iPhone Screen Won’t Turn In Certain Apps! Here’s Why. Even if Portrait Orientation Lock is turned off, your iPhone display may not turn sideways in certain apps. When someone creates an app, they have the option to decide whether or not the app will work in Landscape Mode. If the app doesn’t turn to Landscape Mode when you hold your iPhone sideways, it could just be that the app doesn’t support it. You probably noticed that certain built-in apps on your iPhone, such as the Clock app and App Store, won’t rotate if you hold your iPhone on its side. 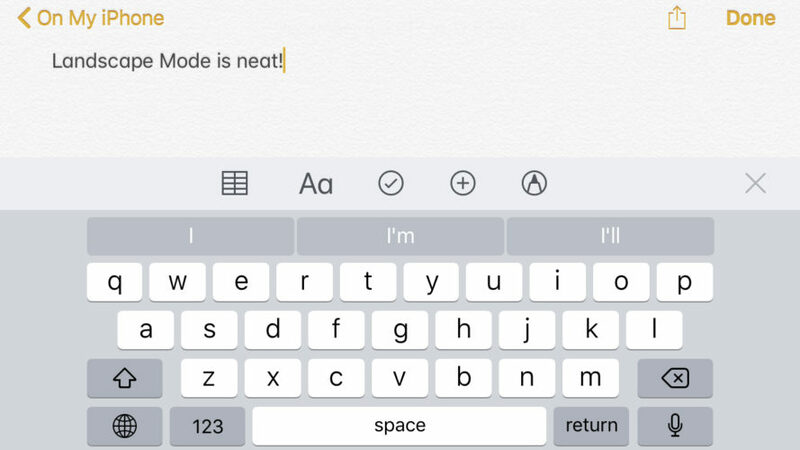 If the app you’re using does support Landscape Mode, like the Notes or Messages app, try closing and reopening the app when your iPhone screen won’t turn while you’re using it. To close out of apps on the iPhone 8 or earlier, double-press the Home button to activate the app switcher and swipe the app up and off of the screen. 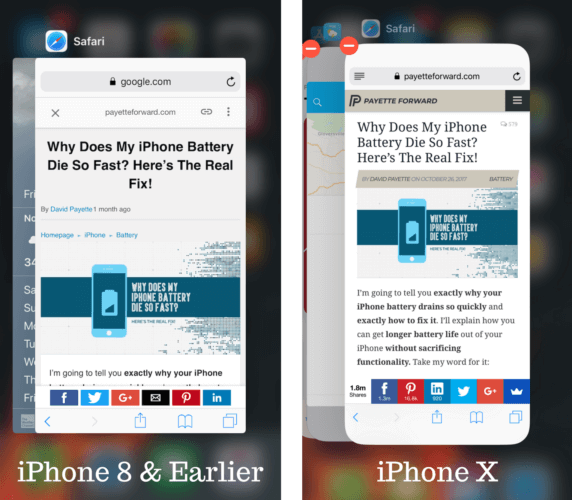 On the iPhone X, open the app switcher by swiping up from the bottom of the screen and pausing with your finger in the center of the display. Then, press and hold on the app preview and tap on the small red minus button to close out of the app. You’ve figured out why your iPhone was locked in Portrait Mode and you’ve solved the problem for good. Next time your iPhone screen won’t turn, you’ll know exactly how to fix the problem. Thanks for reading, and feel free to leave any other questions or comments you have below! Previous ArticleMy Apple Watch Won’t Turn Off! Here’s The Real Fix. Next Article Disconnecting Bluetooth Accessories Until Tomorrow On iPhone? The Fix!